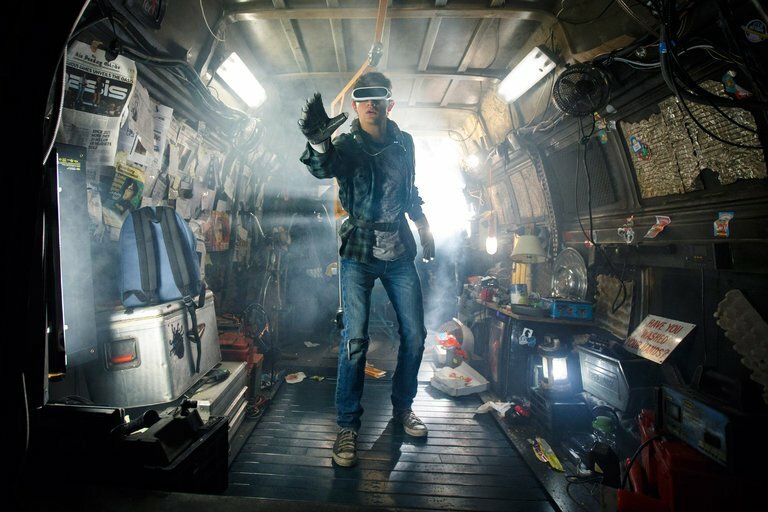 New adventures are present in Ready Player One movie. The film is a science fiction genre directed by Steven Spielberg. Ready Player One takes the future setting ie in the period of 2045. At that time the earth was depicted in unpleasant conditions. The world's population is busy with the virtual world of James Halliday's OASIS (Ontologically Anthropocentric Sensory Immersive Simulation). The film highlights the lives of youth, Wade Watts (Tye Sheridan), who likes to play OASIS. It also has an avatar of Parzival. Many people play OASIS because it promises great rewards. The virtual creator of OASIS, James, before he died would inherit the assets of his company for the first person capable of completing OASIS. Not only residents who follow avid. An online industry company (IOI) has hired a number of experts to break into the OASIS virtual game. Wade with avatar Parzival assisted his colleagues who have avatar Art3mis and Aech. Increasingly fierce competition when IOI boss Nolan, played by Ben Mendelsohn, began to trace Wade's identity. Ready Player One is ready to pamper the eyes of the audience with 3D technology. Especially when enjoying the scene 'pop-up'. Ready Player One also presents a number of popular pop culture icons. Many ornaments of songs and characters are known from the era of 80, 90, to the present. The portrayal of a ragged future is also beautifully illustrated. Here's the Ready Player One trailer. The lovers of game play really watching movie eady Player One that just aired in Indonesian cinema, Wednesday (28/3/2018). The film is lifted from the novel Ernest Cline is telling the adventure of completing the mission in the virtual world. Telling the adventure in the virtual world, this film takes the setting of time in 2045 in which almost all societies must be free from extreme poverty conditions. The only entertainment they can do is to escape to the virtual world created by the genius man named James Halliday (Mark Rylance). After Halliday died, he made a contest to find the Easter egg he hid in the game. Anyone who succeeds in getting the Easter egg is entitled to full OASIS control. This is where the main character Wide Watts (Tye Sheridan) to search for Easter eggs in the game world by using alias Parzival. This movie seems to attract the attention of many movie lovers. Movie critic from Indiewire, Eric Kohn gives B plus as well as praising the look of this fiction science genre movie. According to Kohn, Spielberg succeeded in making this fictional science genre film that is considered to be an interesting spectacle that can be seen by many people. "This is the best film he ever created after A.I: Artificial Intelligence, but more fun with good visual appearance," Kohn said as quoted by Entertainment Weekly on Tuesday (13/3/2018). A lot of netizens who squeaked their responses about the officially released Ready Player One movie. In fact, Ready Player One go into trending topic Twitter since yesterday, Wednesday (28/3/2018). 0 Response to "Before Watching, This Synopsis Film Ready Player One About Exciting Adventure in the Virtual World"